I’m so excited about what is on the horizon for UVBC. Over the last few months, we have been preparing for the arrival of the Life Action team, and for the special days we have set aside to focus on God as a church family. Some of us are having to clear our calendars for Feb 17-24, 2019, even setting aside some of our regular evening priorities so we’re able to fully engage in this time. Would you be willing to do the same? Sometimes, in the hustle of life, we forget to take time for what is most important—our relationship with God, and our relationships with each other. 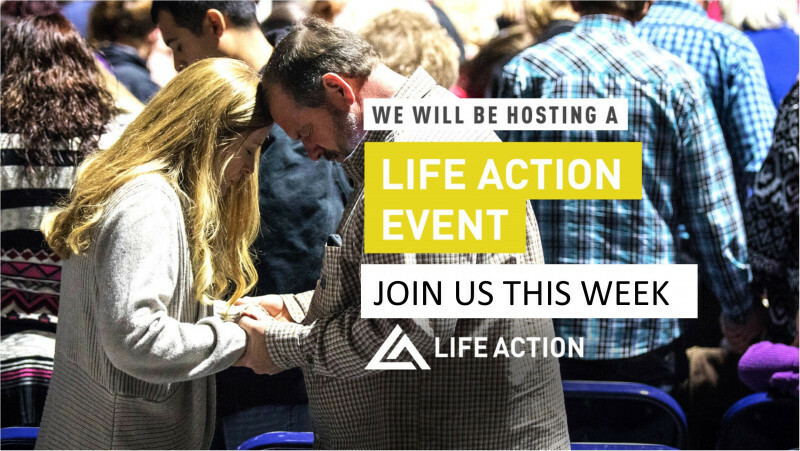 The Life Action event will provide us a special context for exactly that, and I really want you to be a part of it. As most of you know for the last two years a group of men have met every Monday morning to pray. We don’t pray for anything except that Revival will come to Union Valley. Our men have been faithful in their commitment. We started with a core group of 19 and that has grown to 28 the last few weeks. I pray God will move according to their prayers by sending Revival. I have confidence that this event will really take our church forward, but even more, I truly believe this will be a huge step forward for you and me personally. Vickey and I can’t wait to experience these special moments with you. If you have been out of church for a while or found yourself in a spiritual rut, now is the time! The time to seek God and experience Revival in your life. There is no limit what He can do in your personal life and the life of this church, if we will only make time for HIM. Let’s start praying now that God will do something amazing in our midst!